graduated at the Scuola Politecnica di Design in Milan, in the double Master of Industrial and Interior Design. He has worked in several design studios in Milan, first at Lorenzo Palmeri’s, then with Francesco Faccin and in the prototypes laboratory at Michele De Lucchi’s Studio. Actually he is collaborating with the designer and critic Marco Romanelli. 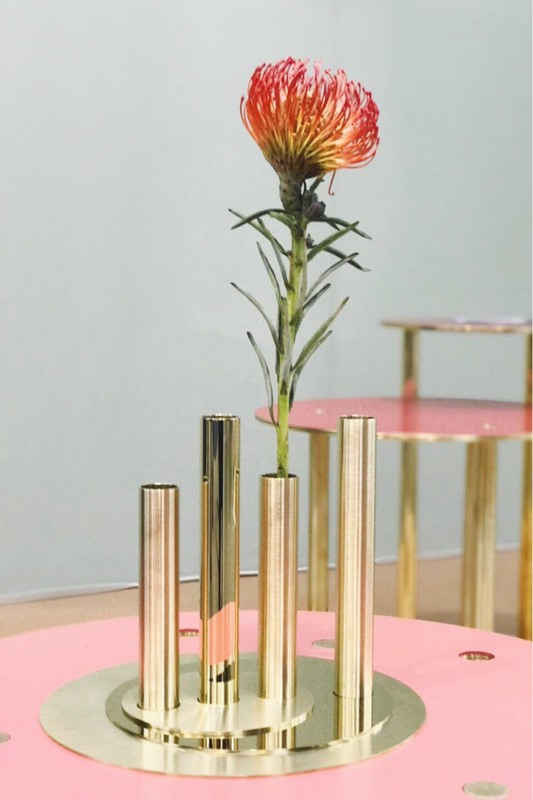 He collaborates with several companies and develops limited editions presented at some international fairs such as Design Miami/Basel, London Design Festival, Operae, ecc. He works between Italy and Brazil in the field of product design, interior design, exhibition and lighting, trying to combine a linear style with research and contamination between materials. 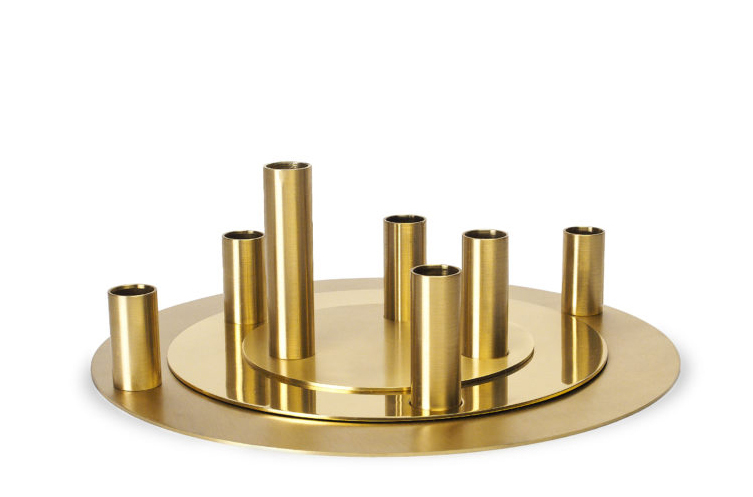 Made of glossy and satin brass, it consists of three rounded and perforated concentric disks, with a diameter from 16cm to 32cm, equipped with candle holders, turned and screwed, of different heights. Presented for the contest “Il Rame e la Casa 2017” at the invitations section. In a period where we are experiencing a theoretical tendency to dematerialization, Giorgio Bonaguro designs a deliberately “material” object, which is, on the one hand, aesthetic “mechanistic” (almost a gear) and, on the other hand, an example of copper surface finishing. The “Concentric” candlestick can be easily assembled (or split) by overlapping three elements endowed with 3-2-2 candle holders, respectively. Made of glossy and brushed brass, it is made up of three eccentric, turned and perforated discs, of respective diameters from 12cm to 24cm, equipped with four wicker latches, welded and screwed, of different heights. The “Eccentric” flowerpot together with the candle create a collection of overlapping modular objects. It is made by three elements that can be used either together or separately, with 2-1-1 solifleur respectively. It is a deliberately material and “mechanical” object characterized by simple and geometric shapes. 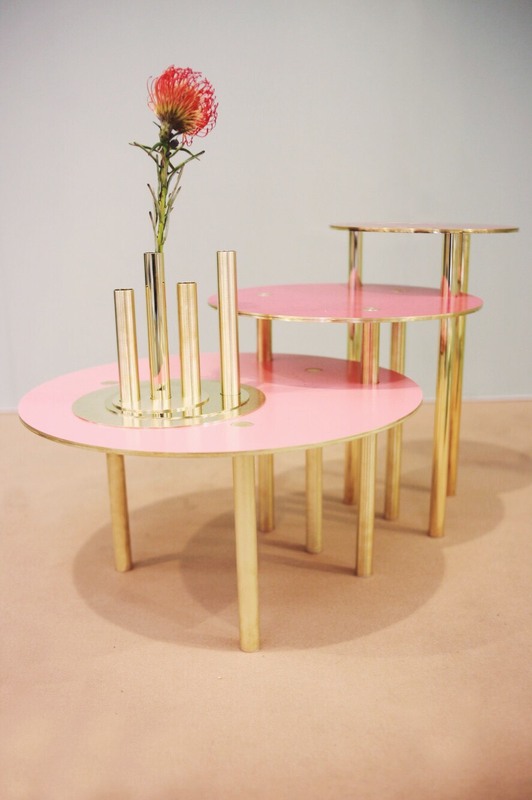 Made of brass in three different finishes (polished, linear satination and orbital satin), these coffee tables have removable legs and a double plane with different finishes on both sides: on one side the brass, on the other is a mat finishing in three different colors. 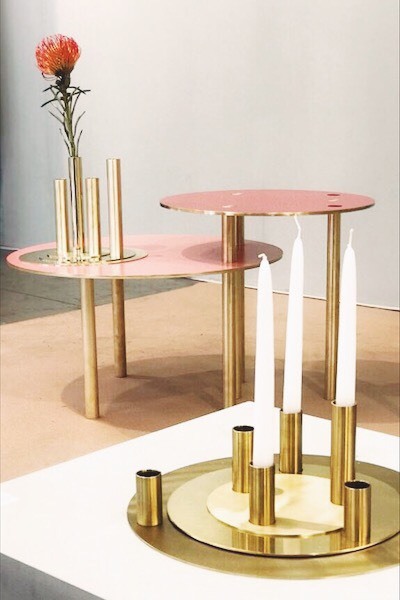 The “Centrico” family has simple and geometric shapes like the candle holder and the vase, but is characterized by the use of color and the reversibility of its surfaces.